No matter if you enjoy sports climbing or a via ferrata tour, you should always take a first aid kit and a cell phone with a full battery with you! Without a radio network signal or in a dead spot no emergency call is possible. Change to a better location and dial 112 regularly. European Emergency Call: Access to any network available if you switch on your mobile phone and dial 112 instead of the PIN code or if you use the SOS Emergency Call feature. Where exactly is the accident site? Weather conditions at the accident site? Smartphone users can install the new emergency call app of “Bergrettung Tirol”. It helps to place an emergency call and transmits your own location data at the same time. 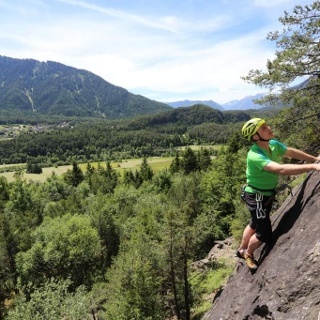 The Climbers Paradise internet platform not only informs about the huge range of climbing possibilities in Ötztal but also acts as a hazard detection center strongly focusing on safety in climbing sports. Also available as an app for iPhones and Android smartphones. 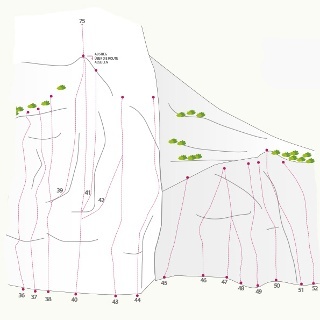 The new "Sport climbing - via ferrata - ice climbing - Holiday Regions of Imst, Pitztal and Ötztal" climbing guide contains the most up to date topographic details of countless climbing areas within the holiday regions of Imst, Pitztal and Ötztal. 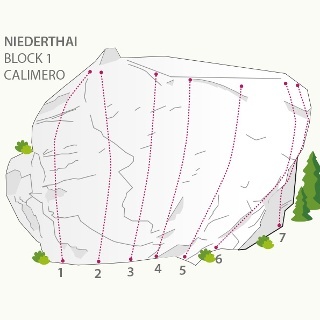 The climbing guidebook features all areas incl. route lists, route statistics, area descriptions, toolbars, topographic details, directions and photos. Plus quotes and descriptions by local experts and climbers, talking about their favorite rock climbing areas. This ring file is particularly handy as it can be completely opened and folded. 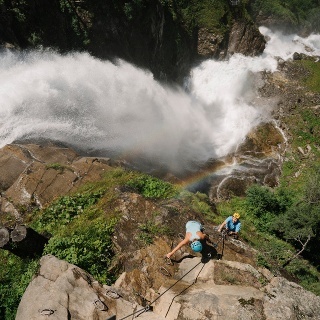 Many outstanding climbing and landscape pictures promise a perfect impression of the respective rocks, via ferrata routes and ice falls. 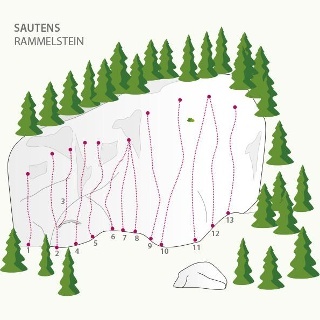 In short: A modern climbing guide that leaves nothing to be desired and makes you yearning for a climbing adventure in the holiday regions of Imst, Pitztal and Ötztal. 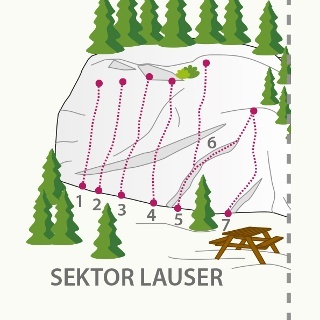 Follow the steeply ascending forest trail until you reach the fork-off and the bridge. Keep to the left trail, traveling along the brook to a clearing without any change in altitude. Here you turn right into the forest path and further on to a bench where you take the path (red markers) to the right. 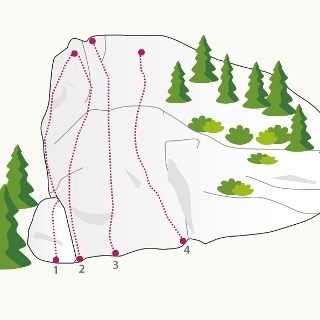 Through the forest and past boulders you reach the climbing wall. Please do not enter the game feeding area!